The most recent Working at Height Regulations removed the old 2 metre rule and now any work carried out that is not at ground level is considered as to be working at height, this include locations where you may be working below normal ground level. There is probably more H&S myths regarding working at height than any other H&S legislation, such as you can’t, ladders are banned, you must use fall arrest equipment, just to name just a couple. Neither of these, nor most of the others you may have heard have a semblance of truth. 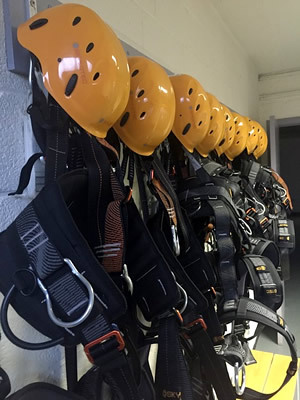 McPherson Training have a one day course that sweeps away the myths and gives you the honest facts with regard to working at height, and where selected as a suitable constraint, how to select and ensure secure safe use of fall arrest equipment. The use of ladders steps etc.